Al-Haq est une organisation palestinienne de défense des droits de l’Homme. Elle répertorie les violences des colons en Cisjordanie et revient dans cet article sur le contexte, les modalités et les conséquences de ces violences depuis le début du moi d’octobre. Israel’s illegal policy of settlement expansion has led to the presence of over 500,000 settlers in the occupied West Bank, which over the years has resulted in increased levels of settler aggression and provocation against Palestinians. Settler attacks vary and have come to include : damaging Palestinian crops ; shooting at and beating Palestinians, including children ; as well as throwing stones at Palestinian homes and property. 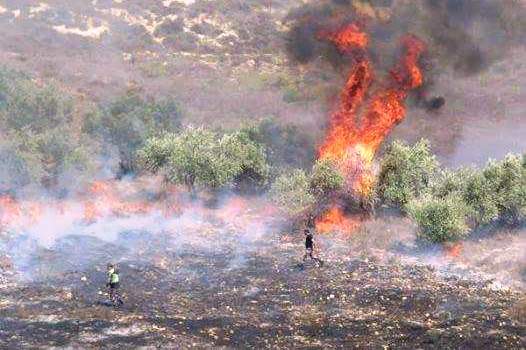 Over the past year, methods of settler attacks have escalated to include burning Palestinians to death, a reality exemplified in the case of Muhammad Abu Khdeir in Jerusalem and three members of the Dawabshe family in Nablus. Since 1 October 2015, Al-Haq has documented at least 48 cases of settler violence against Palestinians in the OPT, including the killing of one Palestinian at the hands of a settler in Hebron. On 17 October, 18-year-old Fadel Muhammad Qawasmeh was shot dead by a settler near Al-Shuhada Street in Hebron. 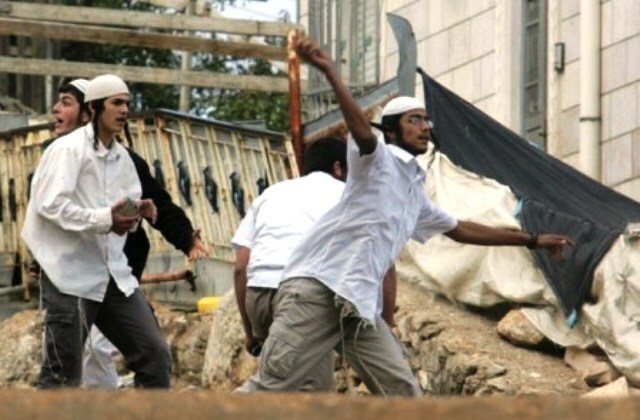 According to an eye-witness, the settler had a scuffle with Fadel then followed him for about 7 meters. The settler later drew his gun and shot Fadel dead with at least three bullets. 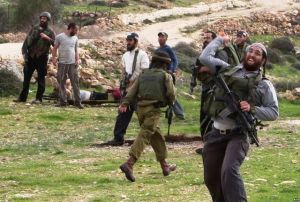 Israeli soldiers quickly arrived to the scene, and did nothing to restrain the settler. On 1 October, Ayman Al-Qishawi, 41, was driving from Salfit towards Qalqiliya when his vehicle was stoned by settlers east of Jinsafout village. (Al-Haq affidavit no. 11071/2015) The stoning of Palestinian vehicles on the roads and Palestinian homes near settlements by settlers are recurring incidents. For example, on 1 October, settlers attacked the residence of Marwan Najjar, 61, in Burin, south Nablus. At approximately 9:00 pm that night, around 30 settlers from the nearby settlement « Barakha », accompanied by the settlement’s armed security guards, threw stones and empty bottles at Marwan’s house. In response, Marwan contacted some people in the village to come and assist him. The settlers then retreated from the house. The incidents mentioned above are representative, but not exhaustive, of the frequent settler attacks endured by Palestinians in the West Bank, including East Jerusalem. Such attacks deprive Palestinians of their rights to self-determination, movement, and safety in their own homes. The presence of settlements and settlers in the West Bank constitute a grave breach of the Fourth Geneva Convention, which may amount to a war crime under the Rome Statute of the International Criminal Court. As an Occupying Power, Israel has an obligation under international humanitarian and human rights law to safeguard the rights of civilians in occupied territory. Instead, Israel continues to expropriate Palestinian land in order to expand settlements. Additionally, the lack of effective accountability on the part of Israel has created an environment in which these attacks thrive.